Thomson Creek Farm: Happy 98th birthday Grandma! When I was on my mission, my companion told me I was dramatic. I was offended. To me someone that is dramatic is always calling attention to themselves and creating problems where there isn’t one. I hoped dearly that I wasn’t like that—at least not all the time. Then I had a sweet daughter of my own that is VERY dramatic. It isn’t that she is always calling attention to herself and she isn’t constantly creating problems where there isn’t one, she is expressing her feelings in a very big way. She comes by it naturally, the women in my family tend to have feelings and express them—sometimes loudly. My maternal grandmother was this way. Grandma Anderson was dramatic. Not in the negative connotations that the world now calls a “drama queen,” but in the same way my little Amelia is dramatic. (Okay, sometimes Amelia is a total drama queen!) She had feelings and she expressed them, and it was a great quality for a grandma! I remember coming to grandma’s house and you ALWAYS FELT WANTED. Grandma loved, and she loved dramatically. She would greet you with excitement, gushing and lots of hugs and kisses. There was no question, you were loved and wanted and she couldn’t have thought of a better way to spend her time than with her grandkids. I loved watching Grandma interact with people that she loved. 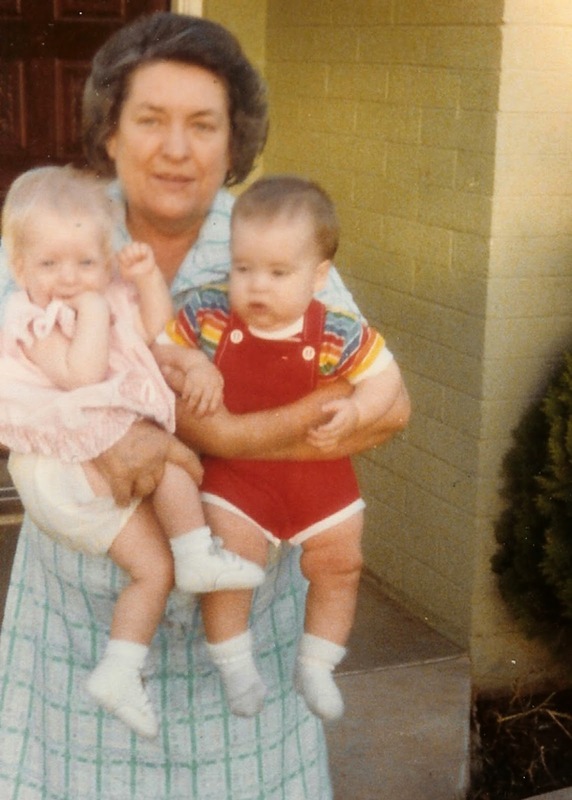 I don’t think anyone ever wondered if Grandma loved them, they knew it. She had a special ability to make people feel loved, talented, and accepted for who they were. I loved watching Grandma interact with people that she just met. She was dramatic, yet sincere in the way she genuinely wanted to know more about everyone. Being in Grandma’s presence was a treat. Of course I do love all of the times she dramatically quoted poetry. I love that my kids know “little fly upon the wall.” We tend to quote it a lot this time of year—when we are seeing little flies upon our walls.